Since President Trump’s first full month in office, some 3.6 million individuals have stopped receiving food assistance benefits according to new government data. However, taxpayers lose $1 billion to fraud in the program annually diverting much-needed cash away from those who need it most. Enrollment in the Supplemental Nutrition Assistance Program (SNAP, formerly known as Food Stamps) has been on the decline for some time now. However, because of consistently strong jobs growth and states enacting policies that encourage able-bodied individuals to work, the number of individuals and households receiving food stamps has declined significantly. In February 2017, the first full month POTUS was in office, 42.1 million individuals and 20.8 households received an average benefit of $125 per person and $253 per household. We spent about $61 billion on this program in FY 2018. As of October 2018, the most recent data available, enrollment had fallen to 38.5 million individuals and 19.4 million households. 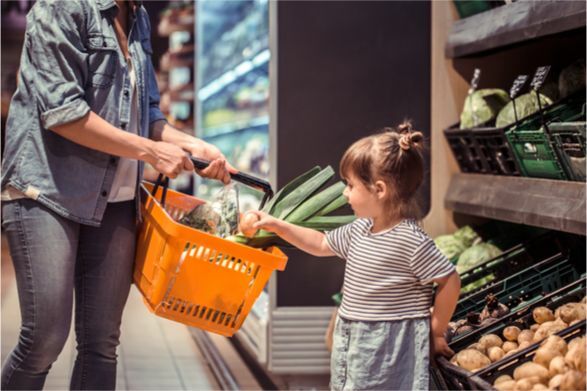 This positive news comes as a new government watchdog report highlights the amount of fraud in the SNAP program which diverts precious resources away from the truly vulnerable and needy. The Food and Nutrition Service (FNS) reports that $1 billion in benefits are trafficked annually by retailers. The percentage of fraud is remarkably low - about 1.6 percent - but as government officials acknowledge it could be three times as much in real life. The real amount of fraud may be anywhere from $960 million to $4.7 billion each year. Imagine what we could do with this. Instead of that money going toward those who rely on food assistance to feed their families, it is consumed by greedy individuals and retailers who game the system. The massive size of this program lends itself well to being taken advantage of, so federal authorities cannot relent in going after and deterring this behavior. Food assistance is a critical aspect of our social safety net and one that should be there for poor and vulnerable Americans. However, with an economy generating millions of new jobs, we have a chance to get Americans to work, into careers, and on track to independence. The Trump Administration working with states has enacted policies to push states towards work requirements for SNAP benefits. For example, after Kansas implemented work requirements tens of thousands of individuals saw their income more than double — enough to replace lost benefits. This data and early results in states demonstrate that policies promoting independence work and leave individuals better off.